OSCARS: Which best actress nominee was best dressed? Although Julianne Moore was named best actress for her role in “Still Alice”, the question remains; who won in the style stakes? Here are the talented nominees and their Oscars 2015 outfits. Marian went for a simple, chic, Parisian look in this classy white gown. The back, however, doesn’t really work and is both unflattering and unsightly. This detail, I feel, ruins an otherwise gorgeous dress. Jones, who was nominated for The Theory of Everything regularly looks as classy and timeless as the characters she plays. The high neckline on this dress is a staple of her wardrobe and the detail on the top half of the dress is lovely. The bottom half could do with less material, in my opinion, and looks somewhat clunky but overall, a nice, sophisticated look. Sticking with the light coloured trend we’ve seen with our two previous nominees, Moore dazzled in this embellished white piece. The material hung beautifully due to the heavy beading and the cut was simple, age appropriate and flattering on the Oscar winner. It’s safe to say that it was an all round successful night for Moore. Reese is one of those celebrities who just doesn’t seem to age and can get away with looks she would have worn 20 years ago. For this year’s Oscars, however, she chose a simple, elegant dress which, in shape and colour scheme, wasn’t unlike Meryl Streep’s. Of course she looks gorgeous and her hair, makeup and jewellery are beautiful, but I think Reese could have gone for something a little more interesting. Just because she’s been transitioning to a more “serious actor” of late, doesn’t mean her clothes have to follow suit. 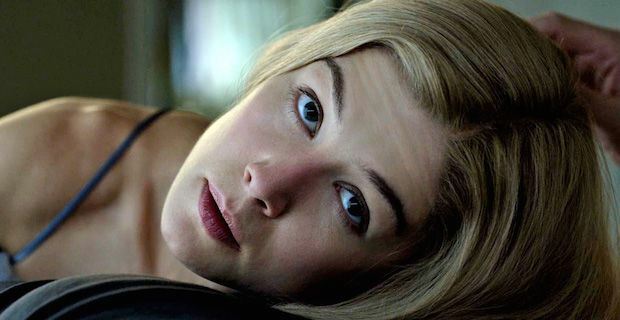 My personal favourite from this category has to be Rosamund Pike. The simplicity of her hair made sure the dress wouldn’t look tacky or overdone and her makeup was flawless. It’s unbelievably depressing to look at her and realize she only recently had a baby! She looks healthy, happy and her skin glows- not like she’s been up all night with a crying child. To top it all off, she triumphantly brought the fearsome Amy Dunne to life last year and truly proved what a talent she is.